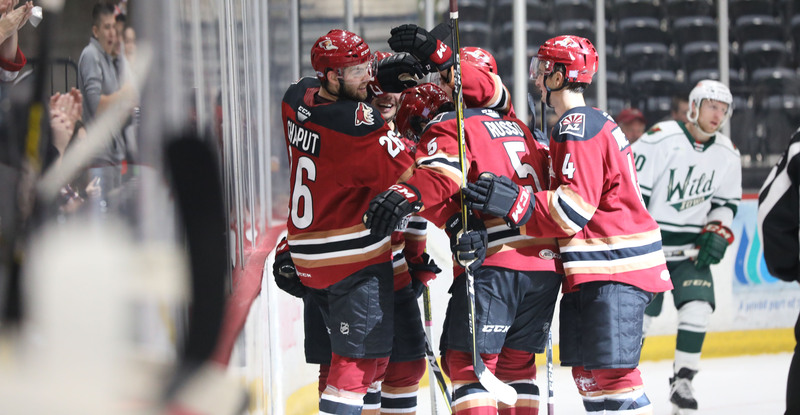 The victory extended the Roadrunners’ win streak to three games, while snapping their seven game skid on home ice – picking up two points in front of home fans for the first time since January 23. 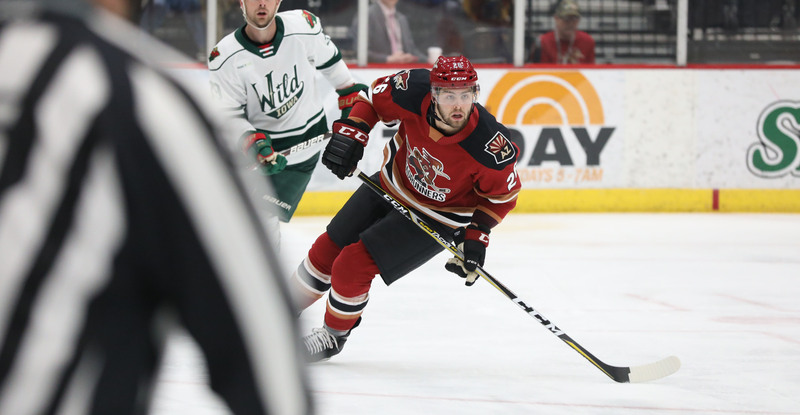 Michael Chaput, who arrived with the team amidst its slump at home, had a direct hand in Tuesday’s triumph, netting Tucson’s first two goals of the evening. With the win, the Roadrunners are now seven point out of the Pacific Division’s final playoff spot with three games in hand on the fourth-place Colorado Eagles. The team’s power play unit has been on a tear, netting another two goals on the man advantage tonight – giving them a total of five in their last two games. He now has five points (3G, 2A) in five games since joining Tucson’s roster. Michael Bunting extended the Roadrunners lead, and his goal scoring streak, upping Tucson’s scoreboard advantage to a 3-1 count when he redirected a Robbie Russo shot into the net from the top of the crease four minutes into the second. Bunting now has goals in four consecutive games, and is tied with Lane Pederson for the team lead in that department with 16. With 3:20 remaining in the middle frame, Hudson Fasching powered his way to the front of Iowa’s net after winning a puck battle in the corner, depositing a shot high to the far side to give the Roadrunners a commanding 4-1 lead. Fasching’s goal, his 13th of the season, gives him a new career high. Brayden Burke capped of the Roadrunners’ scoring when he put the finishing touches on a two-on-one sequence after receiving a cross-ice feed from Fasching, making the score 5-1 with 12 minutes left to play in regulation.